Students are working with campus to bring more bee-friendly habitats and education to the university. Thousands are swarming to London's hottest new high rises - but these aren't swanky condos, they're colourful stacks of bee hives. This month, Western University became the first 'Bee Campus' in Canada. An estimated 30 to 40 thousand bees currently call Western home - many of them in the three protected apiaries now found around campus. "That queen bee really pops out a lot of babies," said Laura Pendlebury, a Masters of Environment and Sustainability (MES) student at Western University. The new title represents a long-term commitment to reshape campus into a pollinator-friendly habitat and learning space. 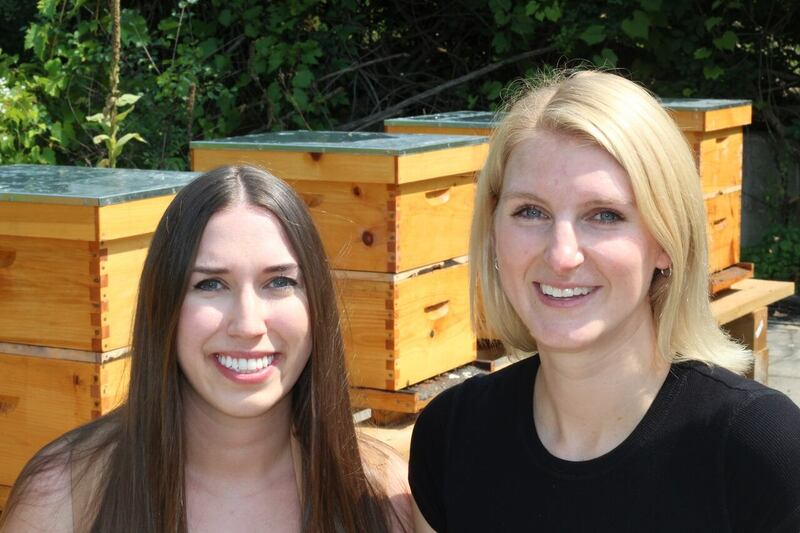 Pendlebury and her colleague Rachel Brown, a fellow MEC grad student, applied for the designation to Bee City Canada themselves back in June. "A lot of what we have at Western has to do with our geographic location. We have the Thames River running through, which gives a lot of opportunity for Western to support pollinators," Brown said. As part of the process, the pair created a five-year plan to bring more bee habitat, education and celebration to Western. They've since formed a small working group with professors and campus landscapers. "We have a lot of green space available to work with," Brown said. "It's a great opportunity for us to try and incorporate pollinators more into the campus landscape." Their main goal now is to continue to expand the range of bees even further throughout campus, beyond the established hives. Also, to help other major pollinators like birds, bats and butterflies. "Because Western is such a big space, having ways to bridge the forested or the river area to other parts of campus is important," Pendlebury explained. "Not just in one location, but areas throughout the campus so that there's kind of a path through campus for pollinators." To get thing started, facilities management has already started planting more native species in flower beds across campus. Plants like ironweed, liatris and Joe Pye weed, with more coming over the next five years. "They act as a food source and even as a habitat for a lot of the bees." Brown said. "And that makes it a more friendly space for not just the bees that are in the hives here, but also bees that are solitary." Pendlebury and Brown's initiatives come at a dire time for honeybees in Ontario. 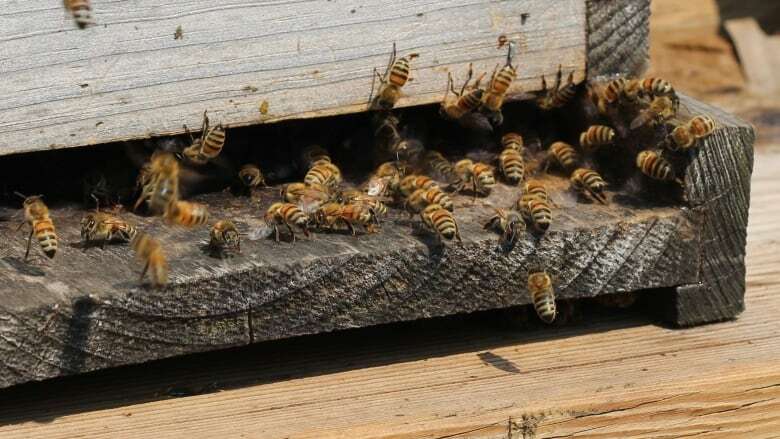 Nearly 46 per cent of our honeybee colonies didn't survive this past winter. That's 40 per cent higher than the national average of 33 per cent, according to the Canadian Association of Professional Apiculturists. And it's far above 20 per cent, the sustainable threshold for the health of our ecosystems. That's why Western's Bee Campus team will be hosting their own Pollinator Week at Western this year. There's already an international pollinator week that happens every year, but it happens during the summer. 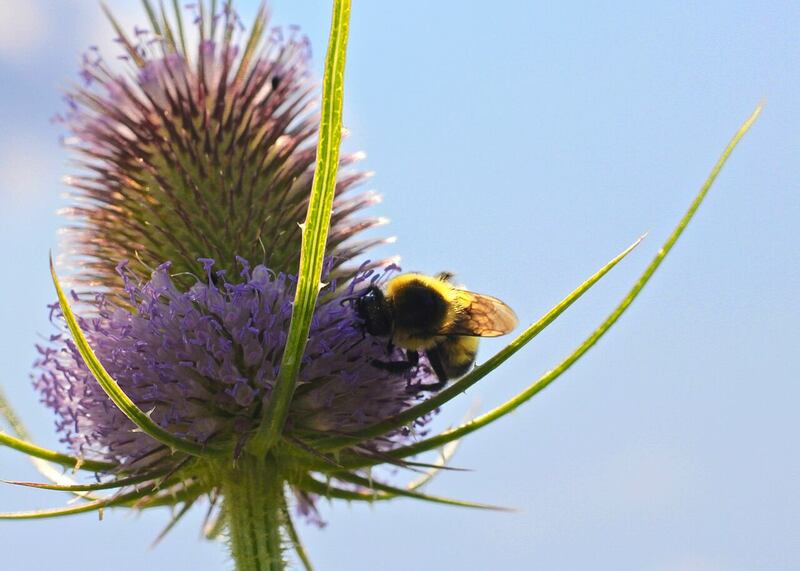 "So one of the things that we proposed to Bee City Canada was that, in order to have the greatest impact possible, was that we would host our own pollinator week during the school year," Pendlebury said. Through this, Pendlebury and Brown hope to spread awareness about the pollination crisis and bee-friendly landscaping. "It's estimated that one in every three bites of food actually comes from pollinators," Pendlebury said. "And so, if you look at your dinner plate... that seems to be an easier way to kind of comprehend the impact that a pollinator will have on your daily life."